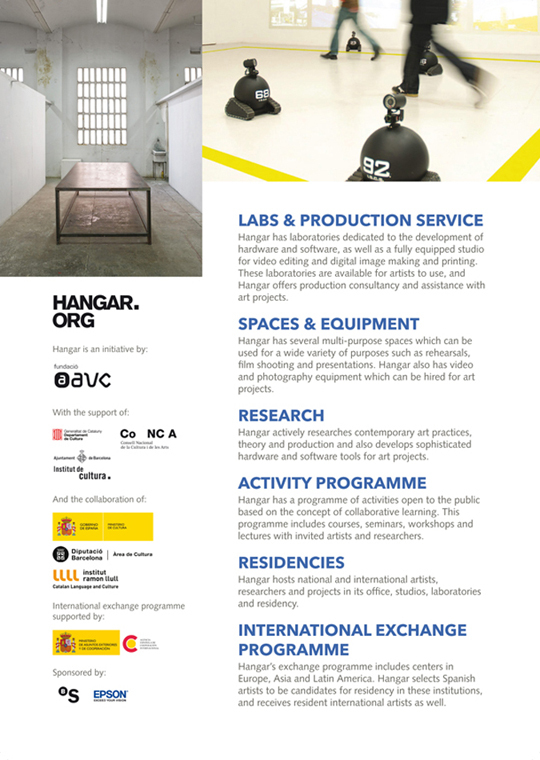 Hangar – centre for art production and research. Print design for A5 information leaflet. Art direction, design, and text editing. Adobe Photoshop, Illustrator and InDesign. 2011.